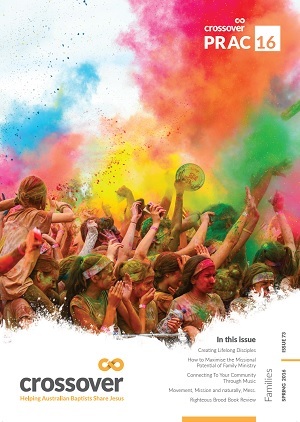 This issue of PRAC focuses on research and trends identified in the 2016 NCLS. How these trends compare to past years and what we should do with that information including reflections for local churches, using NCLS to shape your church’s goals and practical tools for using your report. 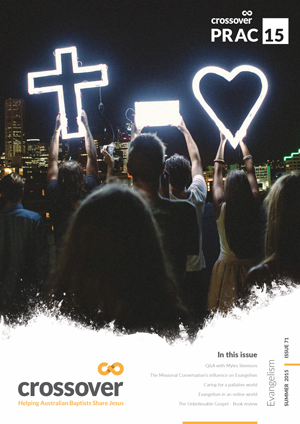 The summer 2017 edition of PRAC has focused on Revitalisation, in particular a variety of examples from Baptist Churches around Australia. Church Revitalisation is about keeping our churches healthy, hopeful and living out God’s purposes. 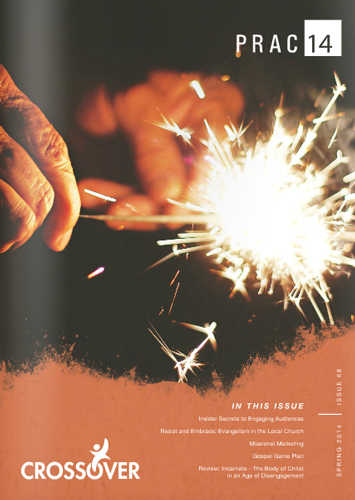 This edition of PRAC focuses on entrepreneurs who are finding creative and innovative ways to share the Gospel of Jesus and live out their faith within their local communities, and abroad. 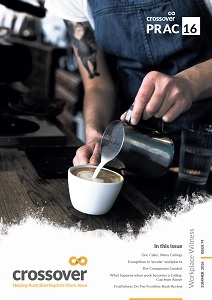 In this edition of PRAC you will find a collection of articles and a book review that focus on the issue of ministry in the workplace. For many of us, we spend more time at work than we do at church but how many of us would say our ministry is connected with our local church rather than focused on our workplace? In this edition of PRAC we have focused on families and inter-generational ministry, and particularly evangelism and discipleship. We recognise that many of our Baptist Churches around Australia have their primary connection to the local community through children or family based activities. For those who are not situated in a family community area, it’s likely that your congregations will still span a few generations, and are still made up of people who are part of families; families who might not all know Jesus. This edition of PRAC we’ve focused on the opportunities and challenges facing smaller sized churches for evangelism and discipleship. We’ve sought to put a spotlight on the unique scenarios small churches find themselves in, and highlight new avenues and opportunities for the gospel that might not be possible in a larger community. 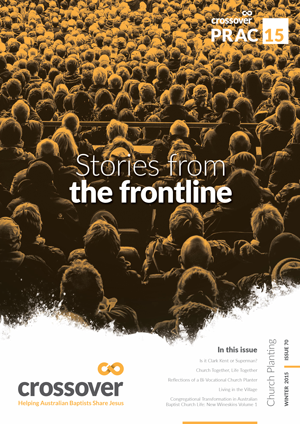 The articles in this edition of PRAC introduce you to a selection of the stories and experiences of people who attended our third Emerging Evangelists Conference. There is also an important contribution by Kim Hammond and Darren Cronshaw on the influence of the ‘missional conversation’ on evangelism. 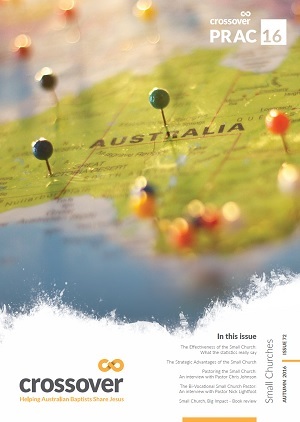 This second edition of PRAC for 2015 highlights church planting practise and experiences from around the country. The articles you will find are written by attendees at Crossover’s Church Planting Consult earlier this year. They are innovative and experienced Pastors and church leaders who have shared with us from the lessons they have learned and opportunities for the gospel they have found. 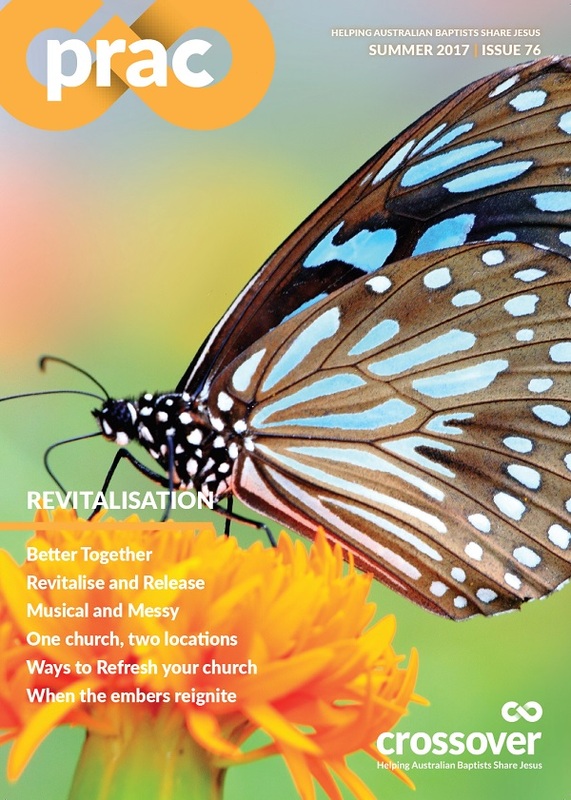 This first edition of PRAC for 2015 complements the topic of refreshing as it focuses on the revitalisation of the local church. We invited some experienced and innovative church leaders to share with us from the research they have undertaken and lessons they have learned in revitalising churches. They reflect on how long established churches can maintain, and regain, the reality of being a living presence of Christ within their communities. 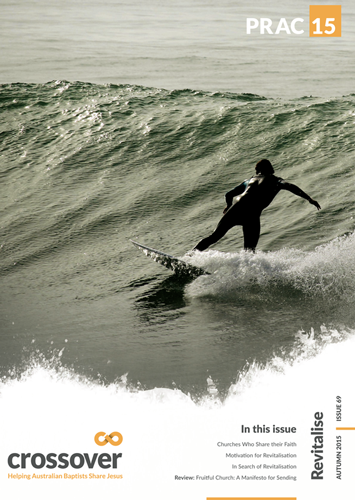 This edition of PRAC we invited some hardworking practitioners to sghare their insights into engaging with our communities so that more people might experience the transformation that Jesus offers. In particular they consider ways of sharing faith which are culturally considered and contextual, and the approaches of the church to evangelism. 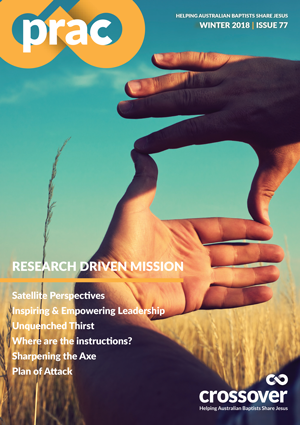 The latest PRAC Magazine edition focuses on the ministry of the evangelist and the place of the evangelist in local Baptist churches. What happens when you wake up one day to realise that the whole purpose of entering into ministry has changed without you realising it? 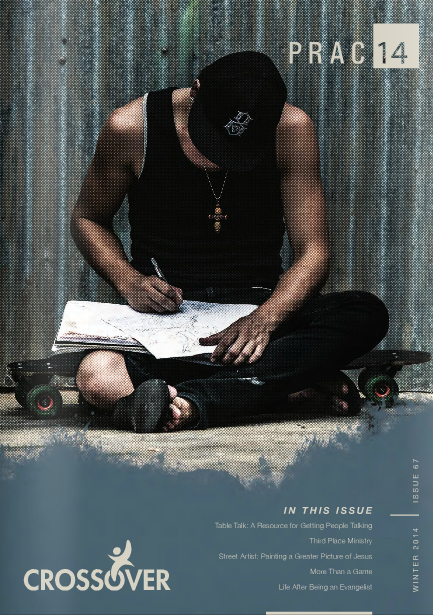 How do you relate to the Gospel to street sub culture? What happens when you build a sports centre instead of a church? What is a 3rd place ministry and what happens in them? How do you engage people who are not even used to talking let alone talking about spirituality? to receive tips and information.